Filipino martial law victims can still be compensated using funds from other ill-gotten assets of the Marcoses after a New York Court of Appeals rejected their claim over a $35 million account with an investment firm. 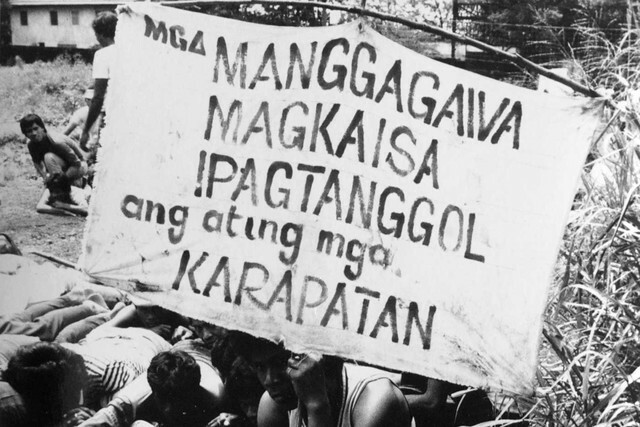 This was the assertion of lawyer Rodrigo Domingo Jr., who, together with American lawyer Robert Swift represented human rights victims in their class suits against the late dictator Ferdinand Marcos. Human rights victims can still get hold of other Marcos assets, Domingo pointed out. He pointed to $25 million which is still the subject of litigation in a Singapore court, and the pending enforcement of the judgment of Hawaii Judge Manuel Real before the Makati City Regional Trial Court. The human rights victims had earlier demanded that $35 million from the Marcos estate be turned over to them in accordance with the ruling of Judge Real in 1995. Real said that part of the amount should be taken from Arelma S.A., a Panamanian entity created by the late President Ferdinand Marcos in 1972 with the assistance of businessmen Jose Yao-Campos and Swiss banker Jean Luis Sunier, and which invested $2 million with Merrill Lynch in New York. Although Domingo also expressed his disappointment over the New York Cour of Appeals ruling, he said that this is just a temporary setback. The dismissal by a US court does not mean that their case is finished, he insisted. But he added that the latest ruling leaves the victims and the Philippine government in a stalemate. “The victims cannot proceed even though they have established their priority to the Marcos funds under New York law, and the Republic cannot recover the Marcos funds without litigating in New York. If the Republic litigates in New York, its claim is likely barred by the statute of limitations, and if the Republic does nothing, the New York Court voiced that it would allow a lawsuit by the victims to proceed,” Domingo said. For his part, Swift lambasted the Aquino administration for continuing the stance of the previous administration against his clients. “This administration shares with the Arroyo administration a vindictiveness against the victims of Marcos cruelty. It has never compensated the victims and spends millions of dollars to prevent the victims from receiving compensation. Many of these victims are now old and in poor health. One is left to wonder whether this administration has a moral compass,” Swift’s statement read.